The Apple Watch is now being used to support Quebec City Jean Lesage International Airport (YQB) and its workforce to help make operations run faster and more efficient. The airport, along with air transport IT specialist SITA, announced the “world’s first use of the Apple Watch for an airport workforce.” The Apple Watch will enable duty managers to receive important notifications to their wrist to take appropriate action as needed. 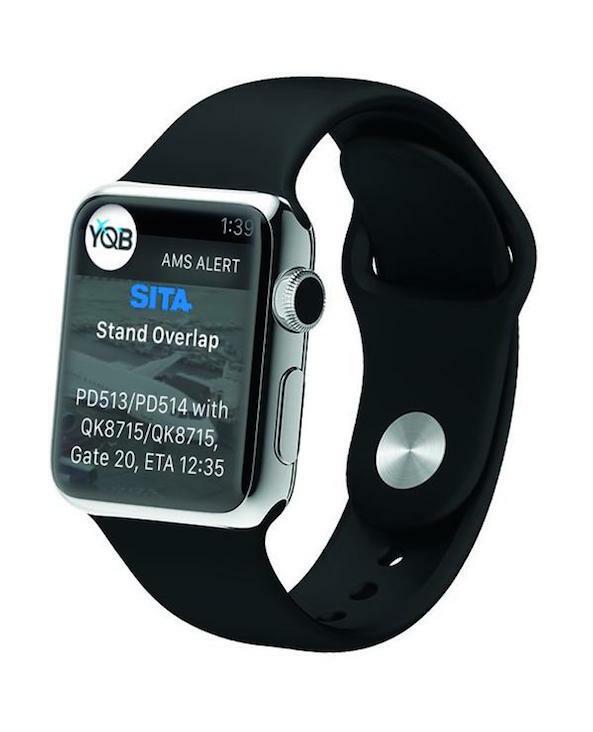 SITA created the app for the airport and setup systems to link the Apple Watch to the company’s centralized Airport Management solution, currently being used in 150 airports in 48 countries. Jim Peters, Chief Technology Officer, SITA, said: “Using the Apple Watch at Quebec Airport harnesses all the power of SITA’s Airport Management solution to deliver information and updates to staff in a faster, more agile way.” The company’s boarding pass API already works with Apple Watch. Québec City Jean Lesage International Airport served over 1.5 million passengers in 2014, up 6.7% from the year before.